That memory is stored as DNA-containing nuclei, which proliferate when a muscle is exercised. Contrary to previous thinking, those nuclei aren’t lost when muscles atrophy, researchers report online August 16 in the Proceedings of the National Academy of Sciences. The extra nuclei form a type of muscle memory that allows the muscle to bounce back quickly when retrained. The findings suggest that exercise early in life could help fend off frailness in the elderly, and also raise questions about how long doping athletes should be banned from competition, says study leader Kristian Gundersen, a physiologist at the University of Oslo in Norway. Muscle cells are huge, Gundersen says. And because the cells are so big, more than one nucleus is needed to supply the DNA templates for making large amounts of the proteins that give muscle its strength. Previous research has demonstrated that with exercise, muscle cells get even bigger by merging with stem cells called satellite cells, which are nestled between muscle fiber cells. Researchers had previously thought that when muscles atrophy, the extra nuclei are killed by a cell death program called apoptosis. When two or more anabolic steroids are used at the same time, it is called “stacking”. 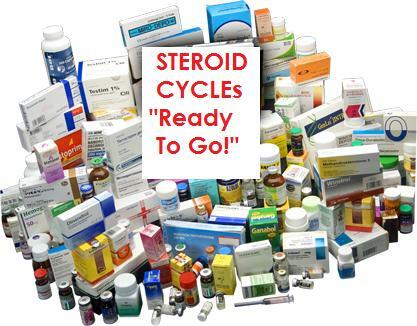 The time period in which a body builder or person uses these anabolic steroids is called a “steroid cycle”. 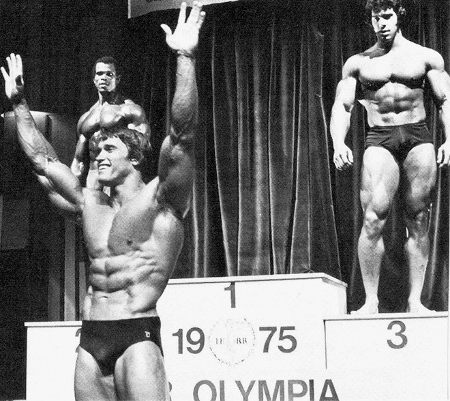 Athletes stack anabolic steroids with other drugs to help maximize the results of their cycle. It has been shown that steroid stacks can cause an even more dramatic effect on the users muscle, than when taking only one type of steroid. Different anabolic steroids have different effects on the body, so when two different steroids are introduced (stacked) together, often times you will see the muscle gaining side effects of each different steroid! These steroid cycles may also include taking one particular anabolic steroid at the beginning of the steroid cycle and finishing up with a different steroid at the end, to better enhance the users desired result. Steroid stacks have been used for years and have proven to be a more effective way to build quality muscle than when using only one type of steroid. One very important thing to note: when using more than one anabolic steroid in a stack or cycle, the risk of harmful side effects increases. Within a steroid cycle, the users will often stack other non-anabolic drugs into their program to help minimize these steroid side effects. 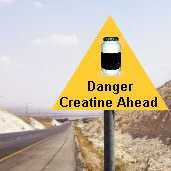 As far as I know, the best part about creatine is that there are no adverse side effects of creatine. As far as reported by studies, creatine is totally safe and works as a very effective supplement. Although, there are no risks of taking creatine, but we don’t know about its long-term effects as the record of research is relatively recent. Just like every supplement it is not recommended to over-supplement creatine once your muscles have achieved the saturation value. That is, you should only take the dosage recommended by your doctor or as written on the bottle. A conservative approach is to plan to use creatine only for limited periods before taking a substantial break from it so the body can re-set to normal functioning. Many experiments performed on creatine have shown that creatine does not contain any adverse side effect as such but the only effect of taking creatine is that after taking creatine supplement you will experience an increase in body mass. But, that is the thing I think that all bodybuilders and athletes would love to have. Some of the persons claim that creatine users are susceptible to cramps, muscle spasms, and some may even be prone to pulled muscles. The fourth of our bodybuilding nutrition principles encourages you to eat frequent meals. If your aim is to achieve a superb shape and obtain maximum performance, then you should forgo the usual three square meals a day approach to your diet. Athletes, including bodybuilders and strength trainers, need to fuel themselves throughout the day and that means frequent small meals and snacks every two or three hours. There are numerous studies which have been carried out into the benefits of eating small, frequent meals and snacks. It has been shown that thermogenesis, the production of heat by the body as it digests and absorbs food, increases by eating multiple meals a day – four or more. During the process of thermogenesis, metabolism steps up and your body will process nutrients more efficiently. Eating more frequent meals will also serve to improve fat burning, improve the body’s use of protein, preserve lean muscle and reduce the appetite. 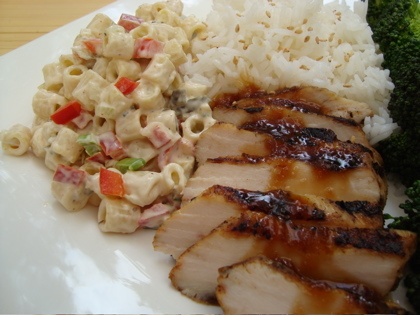 A further advantage of eating multiple meals is in mental performance. By eating regular, timed meals they will help you to think and process information more effectively, and will aid in increasing your attention span and help to boost your mood.